YouTube is getting longer term views. The average viewing session on YouTube is now 40 minutes. That data point comes from a Google post about winning the customer over before s/he enters the store. While it’s written for larger brand advertisers—make-up, CPG, and cars—there are good takeaways for book advertising from the post. There has been a fair amount of press on how brands are starting to use bots to buy pizza, call an Uber, or book a flight, and a good bit more about the potential for new advertising platforms using bots on messaging apps like Kik and What’s App. Now, an article in Marketing Land points out new bots that help you measure advertising campaigns by integrating directly with such platforms as Facebook and Google or with existing third party servers such as Media Math and Sizmek. 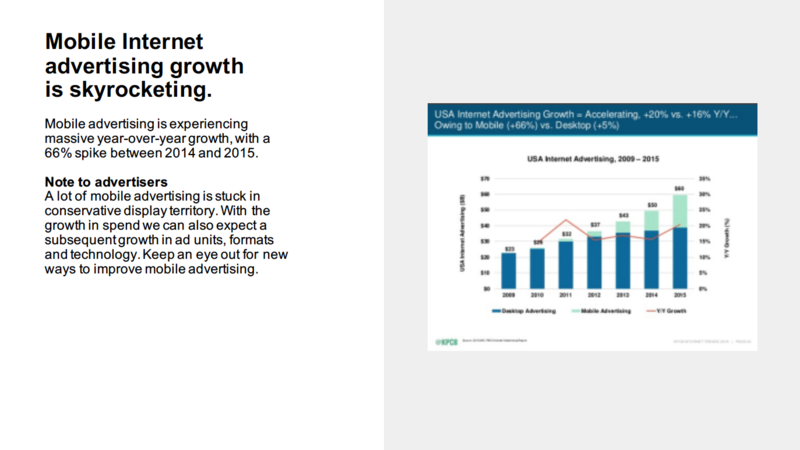 IAB STANDARD UNITS ARE DEAD. LONG LIVE IAB STANDARD UNITS. 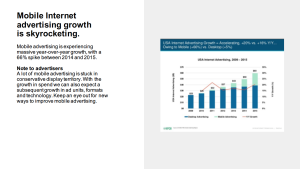 Once upon a time, the IAB tried to tame the Wild West of internet advertising by introducing three standard units that would work across most sites: 300×250, 728×90, and 160×600. For a few years, all was well in advertisingland. But the advent of tablets and the new dominance of mobile devices soon began to mean more and more sizes. 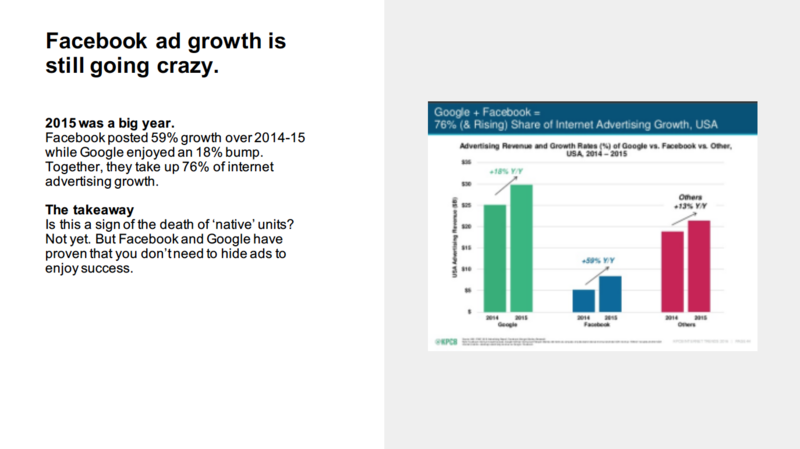 Then the native ad boom kicked in and things got wilder than ever—to the point where a single campaign can require more than ten different size ads, each with its own maximum file size, preferred file type, and timing. Even the IAB can see that it’s time to revisit the standard unit. If you want a say in what ad sizes are next, the public comment period is now open. …OR ARE CUSTOM BANNERS THE NEW FUTURE? On the other hand, an article on Digiday looks into the proliferation of custom units on such sites as the New York Times and Quartz, and wonders if the days of the standard banner are truly numbered. There’s a tension between the custom banners that perform better than the standard units, and the need for standard units to function with programmatic platforms. Spotify announced a new product — Vertical Video Ads — which allows advertisers to sponsor playlists. Users agree to watch the full video in exchange for thirty minutes of free listening. These kinds of ads are wins for the advertisers, the users, and the platform. At launch, the branded moments are based around six categories: chill time, workout, party, dinner, focus and sleep—each of which could work well for books from novels (chill time) to cookbooks (dinner) to lifestyle (workout). 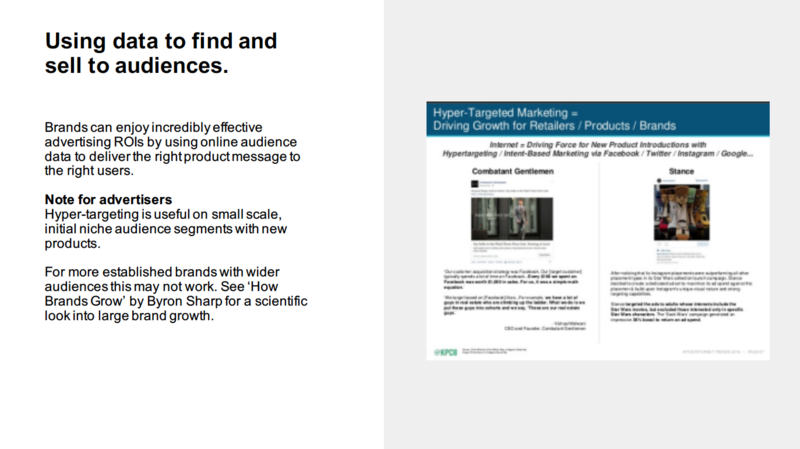 As with any newly launched ad product, the initial minimums are too great for any but the largest brand budgets. But with time, costs will come down, making this an initiative to watch. SNAP TO UNLOCK: A NEW FUTURE OR THE NEXT QR CODE? 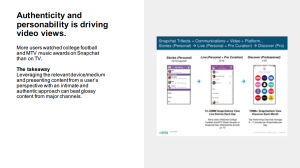 While the premise may induce a painful deja vu for marketers who went through the great QR code marketing hype of a few years ago, the fact that Snapchat is already being used and recognized by a sizable audience makes all the difference. For genres such as YA, a Snap to Unlock campaign could make a delicious teaser. WHAT MAKES A GREAT MOBILE AD FOR TEENS AND TWENTIES? A new study of teens and people in their twenties shows that users in this age range care about content that can be saved and accessed later and expect ads to be relevant to their interests. 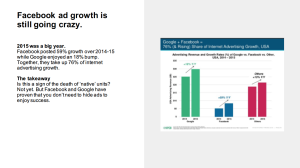 Here’s more from eMarketer on the survey. WHAT’S THE BEST TIME TO SHOW ADS? A new study suggests that more users are inclined to engage with an ad in the middle of the day than at other times during the work week. While ad exposure is valid throughout the day, mid-day is when more users are taking breaks from studying or working and so more apt to click on an ad. 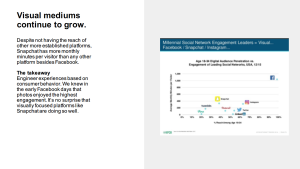 Four charts from eMarketer show how Instagram’s U.S. audience is substantial and growing, that more than half of US millennial internet users are “active” on Instagram, how the app is favored by college students, and how their user base trends toward higher incomes among U.S. teens. The two main problems: (1) mid-roll ads are easy for users to skip since it’s so easy to put down your phone during a break in the programming, and (2) there’s a distinct lack of quality control; even major publishers such as the New York Times are forced by their deals with Facebook to stream too many video hours to sustain high standards. A recent ad fraud report cited by the Wall Street Journal suggests the most ad fraud happens with Google’s Chrome and Microsoft’s Internet Explorer browsers. While both companies fault the study, it’s clear that since the two companies have the most users they also make the most attractive targets for fraudsters. While Microsoft has failed to patch security holes on IE (especially discontinued but still popular iterations), Google continues to work hard to try to stay ahead of the fraud where possible. “In the most recent survey, those most likely to be book readers included women; young adults (those ages 18-29); [and] those with higher levels of education and higher household income . . . These patterns largely hold for overall book reading and for the different reading platforms – printed books and e-books. “The average woman read 14 books in the past 12 months, compared with the nine books read by the average man, a statistically significant difference. The median number of books read by women was five, compared with a median of three for men, which was not statistically significant. The first vertical video ads have gone live on Facebook, and the results suggest a 3x improvement in performance and efficiency. This might be simply an example of a format getting increased attention mostly because it’s new, but given how video and social consumption have moved to mobile, we do think vertical video is here to stay. The New York Times reports on the continued importance of out of home advertising, even as online ads steal budgets from print and broadcast. The continued growth of digital innovation with billboards—both with creative and with user targeting—means the venerable ad platform is just as vital today as it was 100 years ago. An article in Marketing Land points to a new report from ComScore that shows that two-thirds of all time is spent on mobile, and over half of time spent on mobile happens within apps. But while mobile has most total user hours, desktop still is king of the conversion. When the consumer is ready to pull the trigger, s/he still heads for the desktop. Here’s Business Insider’s take on the ComScore report. IS THE FUTURE OF ADVERTISING A BOT? On the heels of introducing its version Snapchat Stories, Instagram introduces a new channel called “Events” that will live within its “Explore” tab and allow for live video. Innovation or high-speed copy-catting, either way it will prove a serious entry in the live video market with Periscope and Facebook Live. 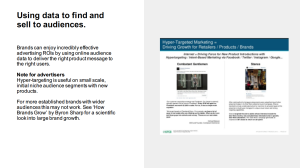 IN HOLIDAY EMAIL MARKETING, IS GREEN THE NEW BLACK? “Only 10% of retailers deployed Green Monday campaigns in 2015, according to Yes Lifecycle Marketing, indicating that competition for the inbox may be lower than more popular retail holidays such as Black Friday or Cyber Monday. eMarketer posts seven charts about the current state of Facebook: over-35-year-olds v. millennials, mobile v. desktop use, and more. Highlights of the week: New announcements from Hulu, Instagram, and Nielsen released in the high heat of summer—with changes coming to the competitive landscape of video, social, and email marketing that are so vital to book advertising. With this announcement that Time Warner has taken a 10% stake in Hulu, the major cable player takes a stake in the platform that’s a redoubt for cord-cutters everywhere. It’s a smart move by Time Warner, and provides more cash for Hulu to invest in areas that are ripe for expansion including live events and new content. This article in USA Today reveals that Nielsen is now adding Facebook to its social ranking of TV shows. While Twitter remains a major player as a second screen to TV, any mention of social has to include Facebook. This shift makes the Nielsen social rankings much more relevant. “Scale in users is great. 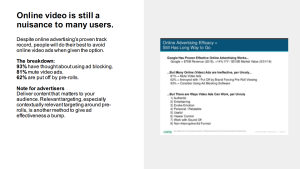 That’s more eyeballs for ads served via AOL technology on the plethora of media properties the combined companies own. There are dangers with any merger that a confused transition can alienate customers, but Verizon’s acquisition of AOL has proceeded relatively smoothly. So this will certainly be a merger to watch for email marketers everywhere. According to this insightful article from The Next Web, Instagram’s “Stories” spells trouble for Snapchat: Instagram’s bigger, better monetized, and easier to use for both consumers and advertisers. That said, there is something to Snapchat’s difficulty from a teenager’s point of view, precisely because parents can’t figure it out. As long as the Generation Z can claim Snapchat for their own, they’re unlikely to give it up. 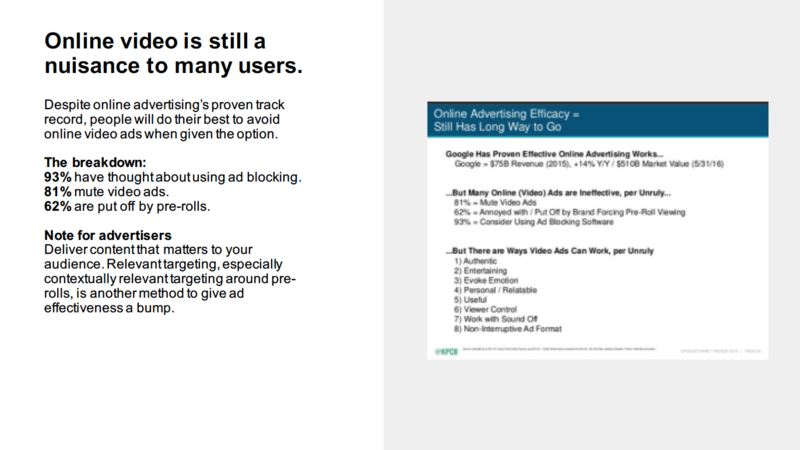 User tracking is a major part of any marketing toolkit. As tracking has gone beyond desktop cookies to reach user log ins via Google, Facebook, and email, it has become easier to track users with a greater degree of confidence in the data. Digiday has a useful primer on the state of the art of user tracking across devices. As email marketing grows in prominence, this is to be expected. It’s worth noting that Verso email marketing partner LiveIntent only counts emails that are actively opened and downloaded–making a LiveIntent buy the surest way to reach consumers by email. More good options are always better for book advertisers. We are happy to have some new ways to target the Spotify audience. The Guardian debuts a “surge news” ad product that’s similar to surge products from the New York Times and Washington Post. Given that surging news could be everything from the weather to a terrorist attack, it’s good that they are allowing advertisers to set keywords for any topics they don’t want to appear against. But for the right title, it could be a great way to be adjacent to the most relevant stories of the moment. The long tail of the weird, the wild, the passionate, the hand-made is alive and well on emails thanks to services like Tiny Letter. With 100% opt in subscribers and open rates greater than 70%, these are audiences advertisers should reach for niche products—and there’s non nichier than most books. In the old days of the Internet we reached this audience via blogs through channels including the Verso Reader Channels. Now we get them via emails. What’s the cause for optimism? Our latest readings on advertising and what it means for book publishers. The links below point to new intelligence on fresh data, smart research, inspiring creative, reader-centric design, and the potential for real world impact. 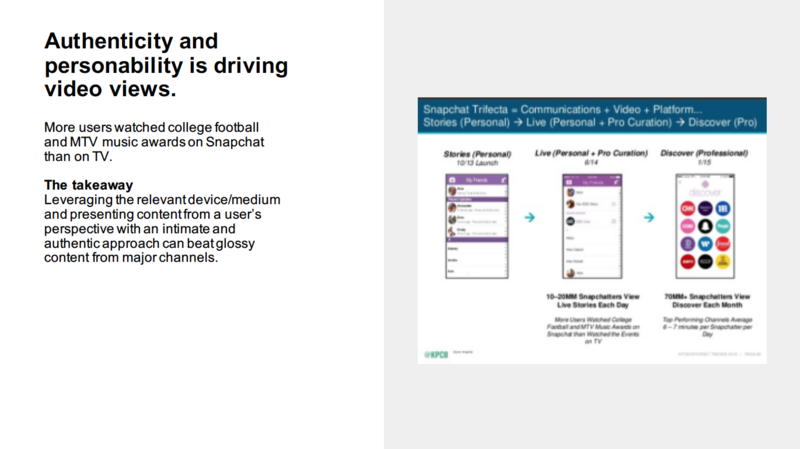 In a recent blog post, Ben Evans does some smart thinking through the issues around mobile video and the problems of trying to compare TV ads with Facebook video plays with Snapchat Stories. They’re different animals with different metrics. Bonus video: Lyrical School puts it all in context for you with Run and Run. Other aspects of the redesigns go even farther to allow users some choice over the ads they see by allowing users to swipe right to dismiss ads. Anything that enhances the user experience is good news for book advertisers. AdExchanger has more on the new units in this interview with Pandora’s group product manager Eric Hoppe. IS IT OVER? DID FACEBOOK AND GOOGLE WIN? No, but it can feel that way, especially after reading the New York Times piece that suggests Google and Facebook take up 85% of total US ad revenue. This article from April suddenly popped up in our feed this week with comments and criticism from The Motley Fool, AdWeek, IAB, Business Insider and more. As mammoth as the two platforms are, it’s unlikely that 85% number is accurate. And while book publishing is certainly not representative of the larger advertising market, it’s worth noting that Google and Facebook advertising products are nowhere near 85% of what we run at Verso.